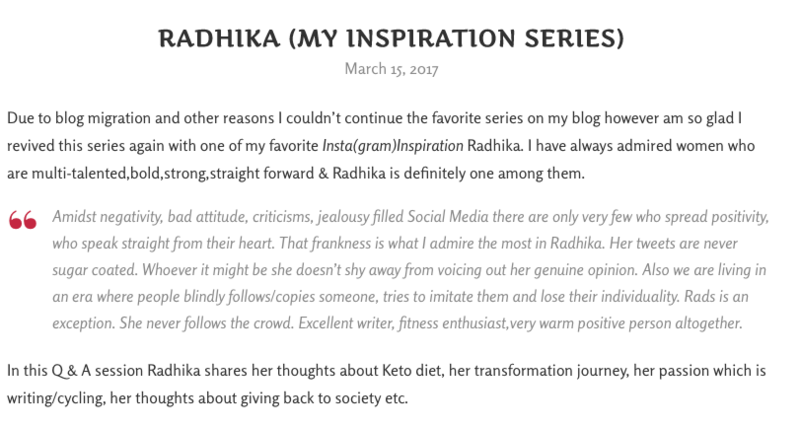 So, I got featured, by Rekha S of the blog: Reshkitchen and she is one of the sweetest food bloggers I’ve known. She has the most unassuming disposition, always is calm and collected and chugs at her work with due diligence while maintaining such decorum, friendliness, and absolutely no judgment. I’ve known her a couple years now, mainly on Instagram and on Twitter and not only does she makes awesome food, and blogs them all, but she also comments on others pictures and posts and duly replies to all the ones that come her way. After being there awhile, I can tell you with great confidence, that’s like perhaps 10% of the Instagrammers who would do that. It’s not only cute, but it shows that as a person she treats everyone with the same amount of regard and values their time and effort. Something I can totally relate to in a few ways. In an age when everyone takes everyone for granted and insist on privileges that they expect the world to owe them, this is a breath of fresh air. She has an Inspiration Series (much like my chutzpah.com series) on food bloggers and runs a feature on them on her blog. …and she got me on there, so yeah, I did some fair amount of humming and hawing and delayed it so long and finally got the words down on paper and sent it to her. 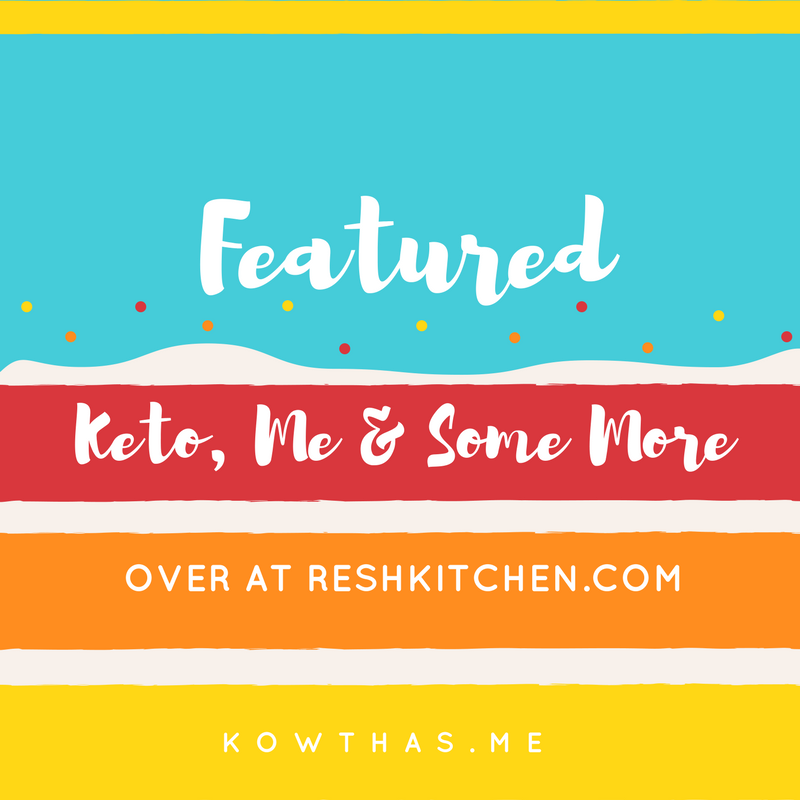 Feel free to ask me any questions you have regarding low carb and I’ll tell you what I know, and if I don’t know, I;ll at least send you to a place where you could get your answer. Thanks for reading, do click on the picture above and you will reach Rekha’s post on me. Or you can click here!